Five minutes in the freezing cold? If you can bear the snow grotto, it might be the most fun you can have wearing just your bathing suit onboard Viking Sea. 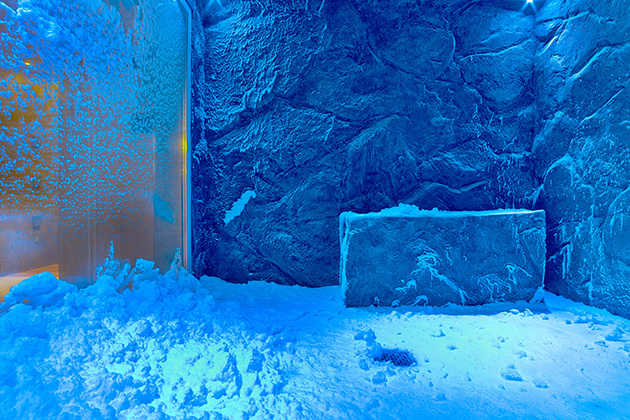 The snow grotto is part of the thermal suite on Viking Sea (and on sister ship Viking Star). 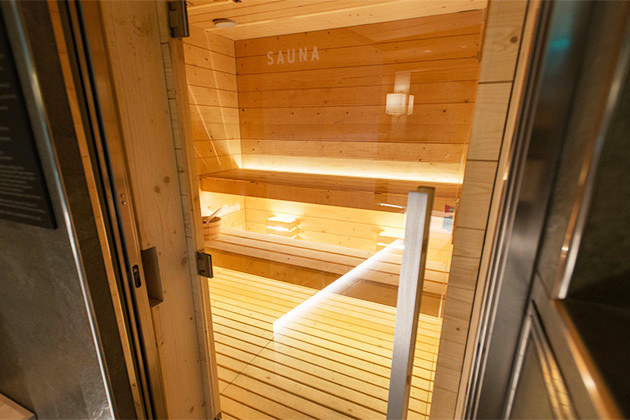 The concept is based on the Scandinavian bathing ritual, which involves alternating hot and cold therapies. (Proponents of the ritual say the process will leave you invigorated and improve circulation, among other benefits.) The snow grotto is a small, glass-enclosed room filled with manmade snow; the freezing room temperature prevents the snow from melting. I visited the thermal suite, which is free to all passengers, on a sea day, so the space was fairly busy but not at all crowded. But first, I swung by the spa desk to ask for instructions and was told to spend time first in the steam sauna, then hit the snow grotto for 5 minutes. Easy enough. Give the snow grotto on Viking Sea or Viking Star a shot, even if you aren't keen on the cold. Sure, there's the novelty of it, but you might feel great afterward. Plus, you get bragging rights. (Who wouldn't want to start a story with, "Did I ever tell you about the time I stood in the snow wearing nothing but a bathing suit?") And because the experience is included in your cruise fare, you have nothing to lose.